Software that easily converts PowerPoint presentations to videos is a useful tool for anyone wanting to share their files on social media, blogs, or on video sharing sites. Converting your PowerPoint presentation to video before posting will protect your presentation from modification and repackaging by someone else. It will also facilitate playback on portable and handheld devices, which is particularly important if you are a teacher or educator wanting to share your presentations with students by posting them on a learning management system (LMS) or in an eLearning course. Here are ten of the top PowerPoint to video converters. 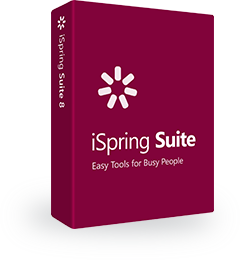 iSpring River integrates with PowerPoint as a tab right in the software, to help you convert your slideshows to MP4 format and upload directly to YouTube with a single click. The video file it creates is compatible with a variety of desktop and handheld devices (including Android devices) and both Windows and Mac operating systems. River is useful for teachers and trainers in the education and corporate sectors to convert even the most complex PowerPoint presentations to crystal-clear 1080p HD format for instant one-click publishing to YouTube right from the interface. You can add narrations to your PowerPoint to turn it into a video lecture and use River to convert it with all effects preserved for playback on any device. RZ Soft is a free to download PowerPoint to video converter that supports all versions of PowerPoint (going back to 2000), and all PowerPoint formats. The software converts the final output size and resolution to user specifications. Free to try, Leawo PowerPoint Converter will convert your PowerPoint slideshow to popular video formats. You can read reviews on this converter on CNET. Online Convert is a free online document converter that will convert your PowerPoint to multiple video formats and download it to your computer while you wait. The site also offers a number of other useful file converters, all free, and with no watermark in the final output file. Xilisoft PowerPoint to MP4 Converter allows you to convert PowerPoint presentations to a number of popular video formats, including full high-definition (HD) quality. This software provides a number of tools to help you customize and tweak your presentation prior to conversion. MoyeaSoft PowerPoint to Video Converter will convert your PowerPoint slideshow to a variety of popular video formats, preserving all of the effects in the original file. Video files are compatible with most tablets, portable media players, video game Consoles, and mobile phones. ETinySoft PowerPoint Video Converter for MAC claims to be an all-in-one PowerPoint to video converter, able to convert files to almost all popular video formats. The site provides a number of tutorial videos to help users get started. The converter by VeryPDF will convert your PowerPoint presentation to a number of video formats, and is compatible with most versions of Windows, including Vista and XP. There are many features to compare when Cons:idering the right PowerPoint conversion software. Quality of output, support of PowerPoint effects, compatibility with modern devices, and one-click publishing are all important factors to Cons:ider. We hope you find the above list helpful in finding the perfect software for you! Do you know of any great PowerPoint-to-video converters? Share your favorites in the comments below!